What I love about modern technology is how fast companies adapt to filling gaps in the market. 15 years ago there were no smartphones and just a few clunky computer applications to track your diet. But since the first iPhone release, there have been ever-growing numbers of fitness, health, and diet tracking apps. One of those is the Noom weight loss app which combines two excellent features: calorie tracking and personal diet coaching. 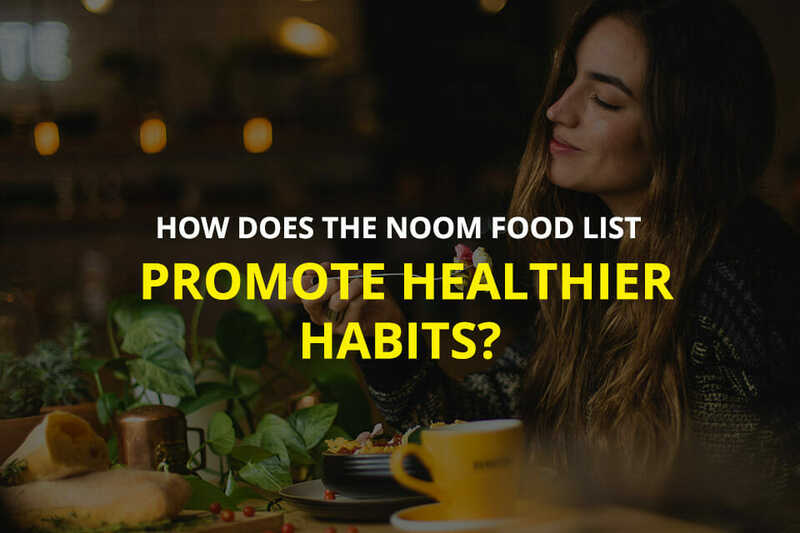 ​What Is the Noom Diet? Many of my clients have been using it and showing me some of the functionality and advice they are getting. So I decided to try out Noom myself as well as diving deeper to other online Noom reviews and forums to see what it’s all about. According to the company’s website, one of their main mottos is “making healthy living easy.” What their app essentially does is make it easier to keep track of what you eat and find ideas to improve your diet. The app’s aim is to help you lose weight by focusing more of your attention on what you eat and fixing bad eating habits. 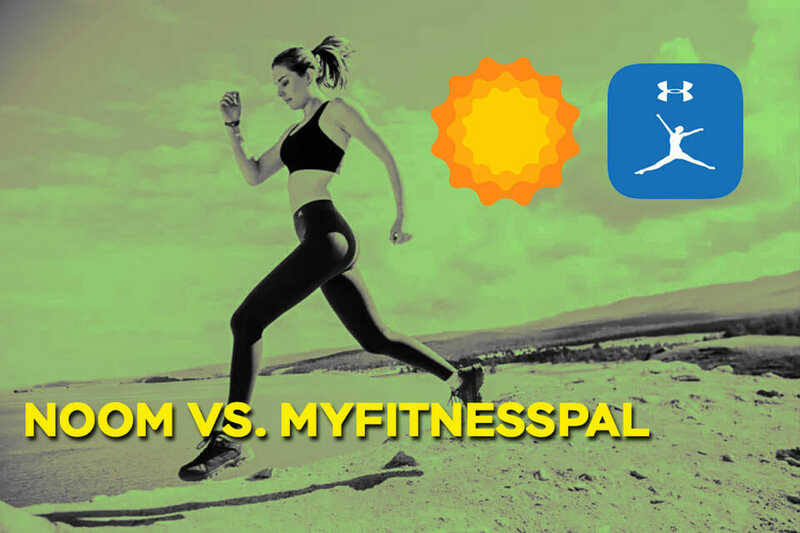 You’ll obviously still need to exercise, but if you keep in mind that weight loss is 70% diet and 30% exercise, then an app like this can go a long way towards getting the 70% portion right. Looking at the Noom feature list, it’s not just the calorie counting and meal plan ideas that stood out the most. What the company also offers through a subscription plan is a personal coaching service with a real human being. Essentially, you have access to a dietitian right there on your phone. This intrigued me, and I started digging deeper into the Noom diet plan reviews to see what people were actually saying about it. Getting set up with Noom is actually quite simple. First of all, you download the app for free either on the App Store or Google Play. When you launch it first, you will need to register an account, but don’t worry, you won’t have to pay anything. During the sign-up process, you’ll be asked a few simple questions about your goals, current weight, age, etc. This is needed to get your profile set up so that the app can make more tailored recommendations. On the main screen, you can then easily see your daily calorie intake, log your meals and see how many steps you’ve taken (if linked to a Noom pedometer). You can also manually add any training you did, or connect to activity tracking services. One thing most Noom weight loss reviews pointed out as being helpful and motivational is the coaching courses you can choose. Basically, you go through a few multiple choice questions, and the app will recommend some available courses. 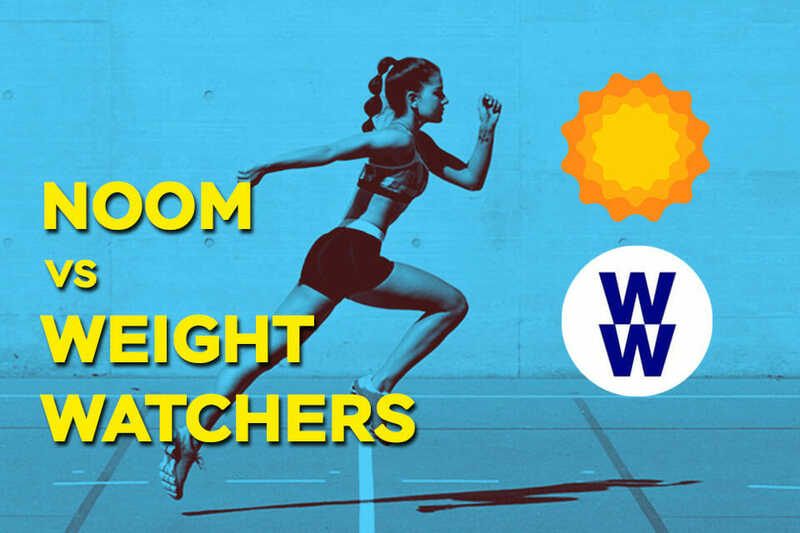 When you then sign up to the subscription, you’ll be assigned a personal coach who will help keep you motivated and advise you on your meals and exercising routines. One Noom coach review specifically mentioned the unlimited access, along with the daily challenges and access to the support groups, provided the motivation to keep going beyond the initial goals. Achieving long-term sustainable weight loss is all about creating healthier habits. (1) And this is something that Noom seems to understand, especially when you review their blog posts and the way the app is designed. Your journey starts with keeping track of everything you eat so that you can actually put some numbers in place and see what your energy intake and output is. Having this full understanding of what you’re eating allows you to make healthy lifestyle changes that you can actually measure. And the app makes it easier for you to keep track of what you eat by showing you exactly what your calorie intake is. According to Noom, their database has grown to over 3.7 million options. I don’t think I could list out a thousand different foods, so it looks like they should have every possible edible product available. What you do is simply go to the Log Your Meals section and use the search functionality for what you ate. Then add the amount, and the app will calculate everything for you. Different foods are color-coded in green, yellow and red, with green having the lowest calorie count and red the most. A lot of users say that this functionality alone is helping them reduce their calorie intake enough to start losing some body weight. You can see the full Noom food list here. In this program, the main focus is on getting you to reduce your calorie intake, eat more of the green color-coded foods and avoid the red ones. You’re assigned a daily calorie budget, and you have to stay below it. The company also says that they will send you daily articles about healthy food and exercise habits, as well as regular challenges to really get you into a mindset of changing your lifestyle. In this program, the focus is less on calories and more on carbohydrates. 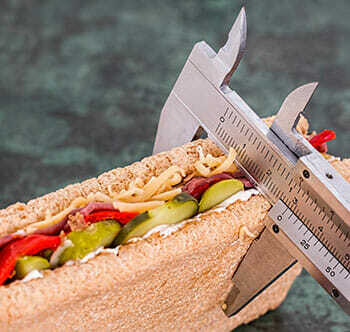 This doesn’t mean you can simply ignore the calorie counter, but if you suffer from diabetes, then maintaining your glucose level through limited carbs will be a lot more important. By signing up to the subscription service you will have a real person review your current habits and diet to identify mistakes you’re making and any nutrition you may be lacking. Based on the feature description, you then receive a Noom meal plan with tips and recipes to guide you through your day. The company makes a big deal out of the fact that you have unlimited access to a dietitian who will constantly monitor your progress and update your plans. All coaches have to go through training provided by “Noomiversity.” This might sound like just some clever marketing, but there are very stringent criteria to qualify for the program. Applicants must have an associate’s degree or higher, as well as health-related certifications (e.g., nursing, registered dietitian or nutritionist, paramedic). It does look like they are very strict on who they want on the team. 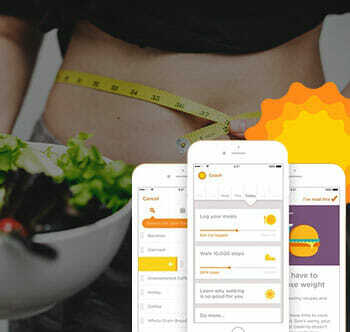 Based on hundreds of Noom diet plan reviews, we have found that this is proving to be a very motivational service that people really enjoy using. Another feature that is advertised a lot is the group support community. While having a dietitian available for all types of questions is great, a lot of people find that being able to reach out to others that might have the same problems is another great way to find advice. It’s also an option that many customers use to hold each other accountable. You can share your goals with other people and post updates as you achieve milestones. In many cases, reporting about your successes will motivate others to keep moving towards their own goals as well. Within the settings area of the app, you can connect the Noom app to other activity tracking services. Noom will count the steps you take if you have a Noom pedometer, but more advanced devices like Fitbit can monitor a lot more types of activities. Based on the customer service page, all you need to do is link your activity tracker through the settings area in Noom, and it will download the data on a regular basis. As a result, you have all your energy in and energy out in one place to see whether your net is actually negative. The one downside we did find in some of the customer reviews is that the syncing with other fitness trackers can have some delays. In most cases, it will update within about 5 minutes, but according to Noom, there are some services that have delays of up to an hour. Apparently, this is imposed by other services and not something Noom can influence. Despite this, you will have a full picture of your activity by the end of your day. Another pro is that Noom addresses social eating and allows you to do things like plan ahead for events—like a party, holiday, or vacation. This is also something I address with clients that fosters true long-term behavior change. 1. Is Noom good for losing weight? Yes, Noom is a good service for losing weight and creating long-term lifestyle changes. Whether you sign up to the Noom weight loss program or simply use it to keep a food journal and find new ways of cooking healthier dinners, endless reviews point to the fact that it’s a great way to keep yourself accountable. Yes, the Noom app itself is free, however, the Noom meal plan and coaching service require a subscription. The company does offer a free 2-week trial period where you don’t get billed if you cancel within 14 days. It’s an excellent way to test out the benefits before you commit. 3. 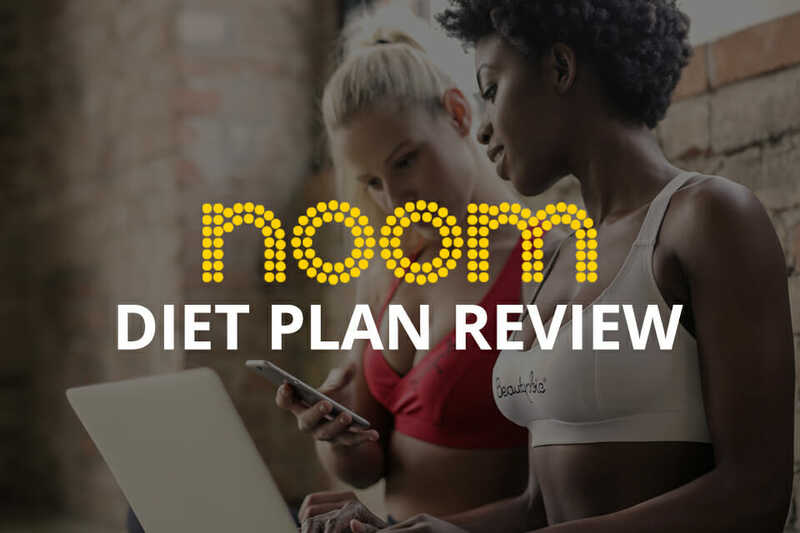 How much does the Noom diet plan cost? The Noom diet plan with professional diet advice costs $59.99 per month. There are subscriptions available to reduce the costs, and you can choose from 2 months for $99 up to 12 months for $199. ​You can also watch this video below to learn more about the Noom app. Based on my own personal experience and chatting with my clients, I do think that the Noom health program is worth a try. The biggest win for me was the individualized coaching. Having a professional review my habits and diet to identify any mistakes was worth every penny. If you’ve tried loads of similar services before, you might be wondering what does Noom do that other apps don’t? The best way to summarize it is that it promotes changes in your behavior towards food and diets so that you can achieve long-term and healthy weight goals. It does require a little effort to make sure you honestly enter everything you eat. But with just a little bit of effort and advice from your personal coach, you could be creating lasting changes in your life.